The stagecraft team and Professor of Theatre and Communication Charlie Krebs changed the Bradley Theatre’s stage for “One Flew Over the Cuckoo’s Nest,” a play demanding in space and set design. This year, there were 20 people working in stagecraft. The team spent eight weeks building the set. Many long nights were spent working in the theatre to complete the set before the opening night performance. “Some of my students have previous construction experience and some know nothing and are fun to teach,” Krebs said. Two interesting pieces of the set are the expanded stage and the padded room. Krebs stated it was complicated to put platforms over theatre seats for the stage, but it set the action right in the laps of audience members. The padded room is made of old sleeping bags and fake feathers donated by Lakeland faculty and Habitat for Humanity’s ReStore. 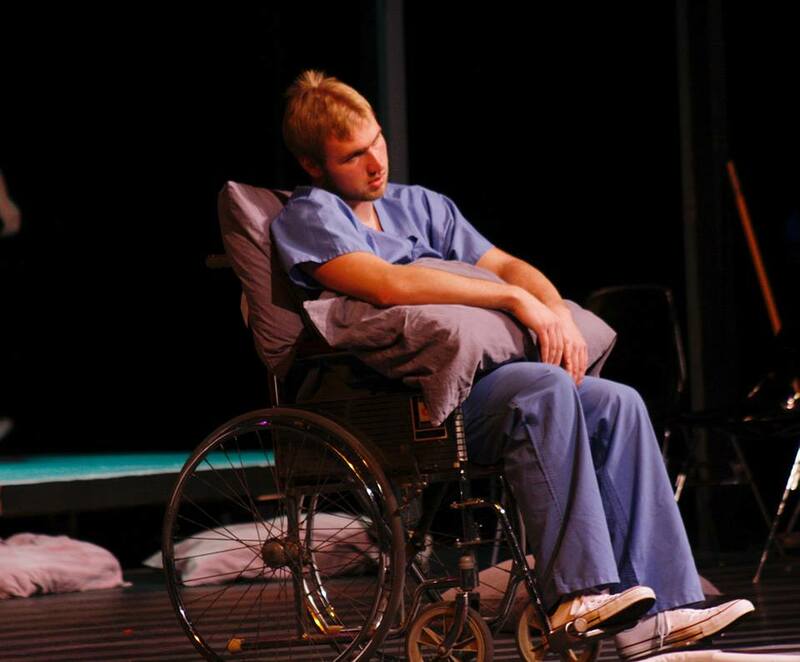 The play, “One Flew Over the Cuckoo’s Nest,” opened Thursday, Nov. 9 at 7:30 pm in the Bradley Theatre.